All six seniors: Coree Joseph, Divine Nwoko, Amari Smith, Keith Lind, Devin Murphy, and Jayden Evans. On Tuesday, January 22, 2019, Boys’ Basketball played against King High School. The final score of the game was 53-49, with Roosevelt taking the win! Varsity Boys Basketball has had a successful season as their overall league record is seven wins and only one loss. 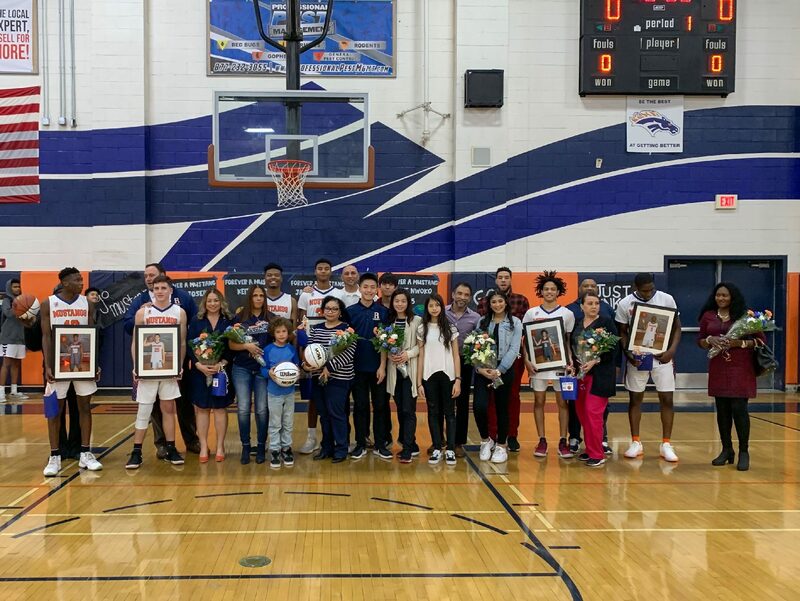 Also something that went on that night was Senior Night, a night that recognizes all the participating seniors on the team, and honoring them at their last home game. Varsity Boys’ Basketball there has six seniors: Coree Joseph, Divine Nwoko, Amari Smith, Keith Lind, Devin Murphy, and Jayden Evans. As far as recognition, we wish the seniors the best of luck with college and their future lives and careers after graduation. Freshman and JV Boys’ Basketball also played that night along with the Varsity Boys’. The final score of the Freshman Game was 51-47 and the final score of the JV game was 40-48. The Freshman Boys’ won, but the JV Boys’ lost their game. 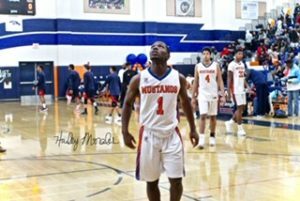 Varsity Boys’ Basketball’s next game is on Tuesday, January 29, against the Norco Cougars. So come out to the game and show your support for our fantastic Mustangs Boys’ Basketball teams! WOULD LOVE A PICTURE !!! !